I will confess that I was never much into car racing growing up. While other kids were watching (admittedly exciting) Formula 1 or Stock Car racing, I was more interested in what I could accomplish under my own steam. I was into running and long-distance bike riding. I also grew up a science and math nerd. I went on to college to study math and physics and ended up studying the science of climate change for my Ph.D. Environmental sustainability arose as a natural theme in my life. When the Virgin Racing Formula E team first reached out to me last year to invite me to the July 2017 Innovation Summit in Brooklyn NY, I didn’t quite know what to make of it at first. And when I received a spontaneous shout-out from Sir Richard Branson and a request to come up on the stage and speak extemporaneously about the climate challenge for five minutes, I was at least, for a moment, a deer caught in the headlights. I paused for a few moments to collect my thoughts, asking myself what message I might offer this audience that would resonate with the day’s theme, Formula E—that is, all electrical vehicle-racing. And it hit me–it’s all about hope and reasons for cautious optimism rather than doom or gloom. Yes, there is urgency to acting on climate now. But we CAN solve this problem and we don’t have to give up anything in the process. To me at least, that’s what Virgin Racing’s Race Against Climate Change (RACC) is all about. That was my message on that day. I guess that message resonated with the good folks at Virgin Racing for they subsequently asked me to join the RACC team. And I was enthusiastic in accepting the offer. To me, Formula E encapsulates the principle that the twin goals of technological progress AND environmental sustainability are not in conflict—they align. We must rapidly transition away from fossil fuels toward renewable energy if we are to avert catastrophic climate change. The conundrum however is that the sun doesn’t always shine and the wind doesn’t always blow—they provide intermittent sources of power. That’s why we need continual progress on battery technology as we seek to remake the global energy economy with clean renewable energy sources. There are those who say we just can’t do it without giving up our way of living and the conveniences of modern life. They are wrong. Virgin Racing—and RACC–is proving them wrong. It is the very same technological challenge—lighter, higher-capacity, longer-lasting batteries, that currently represents the only obstacle to Formula E vehicles out-performing conventional Formula 1 gas-guzzlers. The experts I’ve talked to say that this obstacle will likely be overcome sometime within the next 5-10 years. It’s inevitable at this point. None of the excitement in auto racing is lost with Formula E.
I hadn’t thoroughly understood that reality until I witnessed the Formula E season finale in Brooklyn this past July. Seeing our guys—Sam Bird, who was in contention for the overall Formula E title last season, and Alex Lynn—in action, I understood what makes Formula E racing so exciting. You’ve got all of the excitement of conventional motorracing—the daring maneuvers to gain position, high-speed cornering, and dramatic accelerations down the straights. But there is also a huge role here for state-of-the-art technology that gets nerds like myself pretty excited, with computers tapped into the car’s system constantly monitoring battery usage and determining optimal strategies for maximizing speed while conserving power. Now, Sam and Alex didn’t do quite as well on that day as some had hoped. The course this year had, alas, been altered and lengthened in a way that was somewhat unfavorable to their particular car designs. 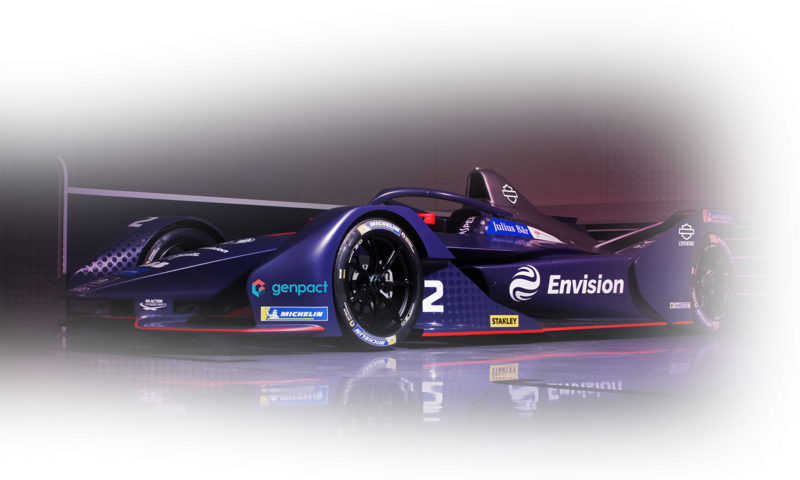 But the team will be back next season—with even higher performance electric racing vehicles. Thanks to the amazing progress we are making with battery technology, the next generation Formula E vehicles running next season will have even lighter, higher capacity batteries that will allow the cars to go faster and longer on a single charge. I am looking forward to watching the races next season. I know our team will do well. But more importantly, I know that they will be out there helping us communicate a greater truth: This is where the world is headed. Get on board, or get left behind. Those of us supporting RACC have chosen the former. Please climb aboard and join us!